I love when they create these videos even more for the paper products because it gives you a chance to see each page in the package. Just another way to have holiday designs for you. You can also check out each of the packages in my online store. 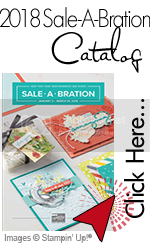 Most of this catalog coordinates with another product making it so easy to place your order. There are a few product suites that also make it easy to plan projects for school, work or family. Below is a link to the catalog. I will have samples on my blog and in my newsletters. Remember, any projects in my newsletter are exclusive to my newsletter customers and will not be shown on the blog. That is also one of the perks of being a newsletter subscriber. Finally, if you still have not received a Holiday Catalog, please contact me so we can get one sent out to you.